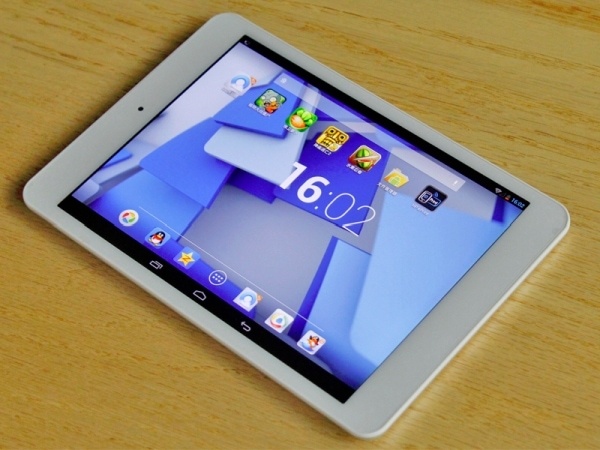 HP expanded their tablet empire into China today with the launch of a trio of familiar looking tablets. The Compaq 7, 7+, and Compaq 8 feature Allwinner A31s quad-core processors and run Google Android 4.2 software, and at least one model bears a striking resemblance to a well-known tablet made by a fruit company. The tablets all come with 1GB RAM, a pair of cameras (VGA webcam, 2MP rearcam), and Wifi. I can also add that the CPU on the Compaq 7+ has a clock speed of 1GHz, and that it appears to have an 8 core Power VR GPU. The specs for this tablet also mention 16GB storage, and a microSD card slot. Screen resolution varies between the tablets, with the Compaq 7 having a cheap 7" 1024 x 600 resolution TN display. The Compaq 7+ is listed as having a similar resolution but a higher quality IPS display, and the screen resolution on the Compaq 8 is 1024 x 768. I can't find a price for the Compaq 8, but the Compaq 7 is listed at 999 yuan ($164 USD), with the Compaq 7+ coming in at a slightly pricier 1,399 yuan ($230).